There are so many great things about living on Marco Island. Some say it's remote without feeling isolated. Others rave about the near-private beach which was designed for the owners and residents of Marco Island. The economy is strong and the real estate market has been in the midst of a powerful recovery. Another attribute is the Marco Island Center for the Arts. Founded in 1969, their mission is to promote education and appreciation of the arts. Their guiding principles are to be an essential and sustaining part of the culture of Marco Island and the preeminent advocate and center for the arts. They provide open and economically viable access to art, programs, quality educational opportunities and functions to all people of the Marco Island area while serving as a venue for all the arts. This program is open to 10 children aged 7-12(each child must be accompanied by one adult). It's a great way for kids and their parent to spend some creative time together. You'll get to create three decorative dishes or trays from clay which will then be fired and glazed by the instructors and will make perfect gifts for parents or grandparents. You can also enter the work you create in the Young People's Art Show in July. Kids between 10 and 15 can learn about digital camera operation, downloading and uploading images. You'll also learn about color versus black & white, composition as well as different forms of photography including portraits, landscapes and more. There will also be a discussion about what's proper when uploading photos on social media. 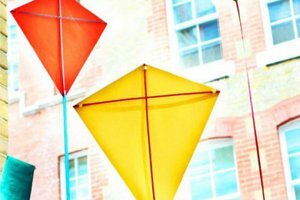 Children 9-12 years old will make a kite that truly is a work of art in this two day class with instructor Linda Kropp. http://www.marcoislandart.org/ here) to visit the Marco Island Center for the Arts website.